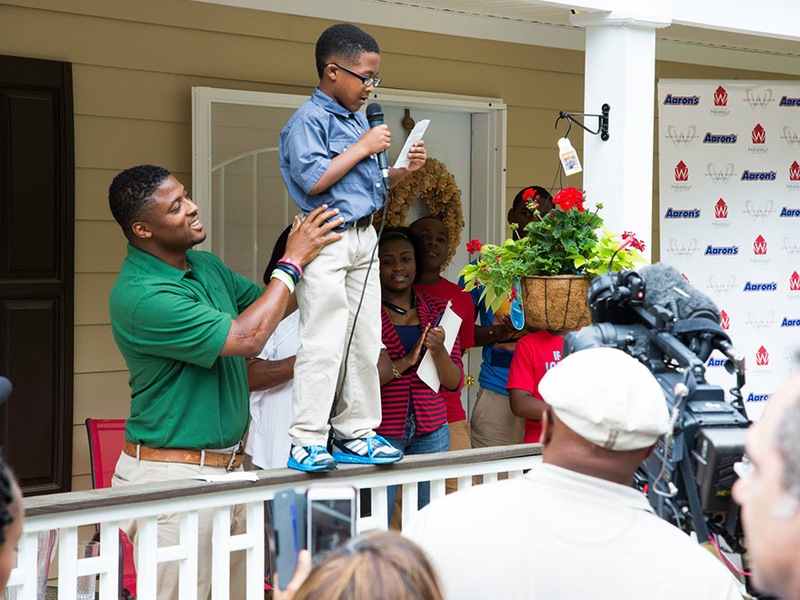 On Tuesday, May 12, 2014 PRUMC’s new Habitat for Humanity homeowner, Wanda Boykin was the recipient of a special Warrick Dunn gift. 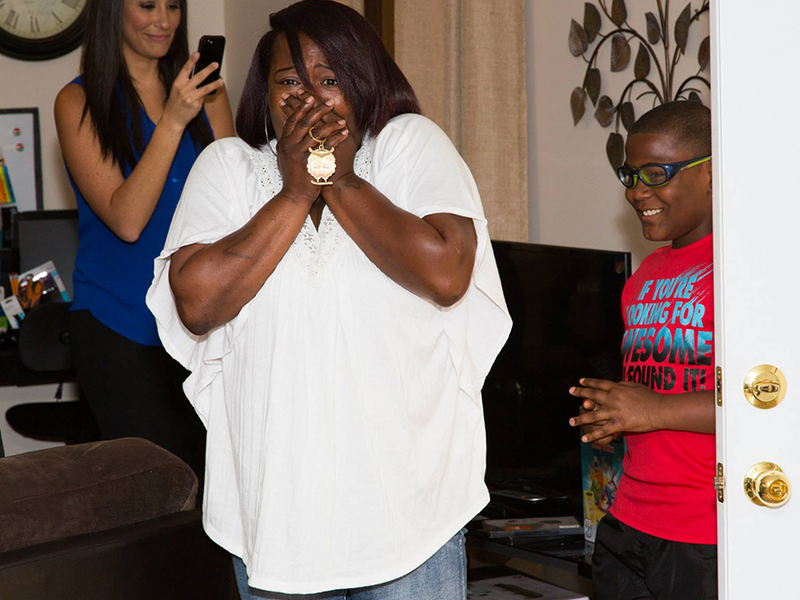 The NFL star surprised the Boykin family with complete new furnishings for their home -beautiful furniture, a fully stocked kitchen, washer and dryer, and outdoor yard equipment. 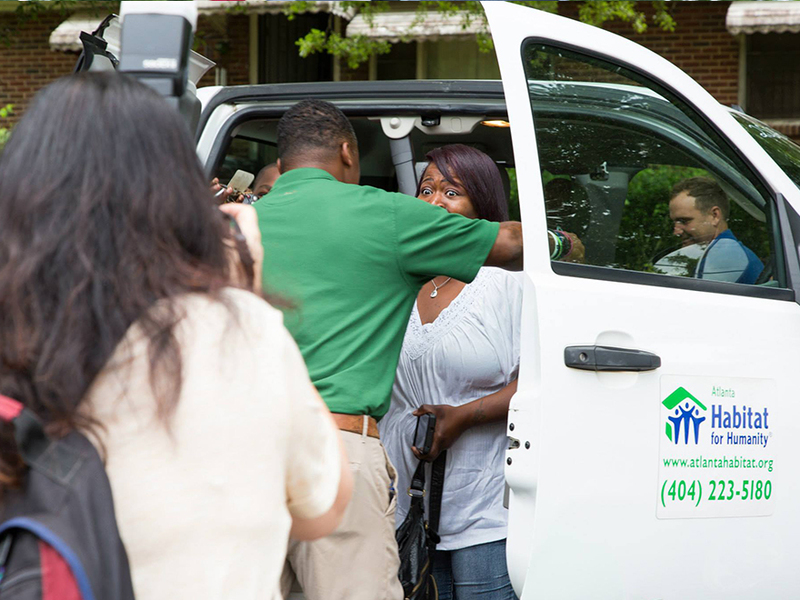 Ms. Boykin thought she was going through a final walk-through of her home, when Warrick Dunn personally presented this wonderful gift to her family. 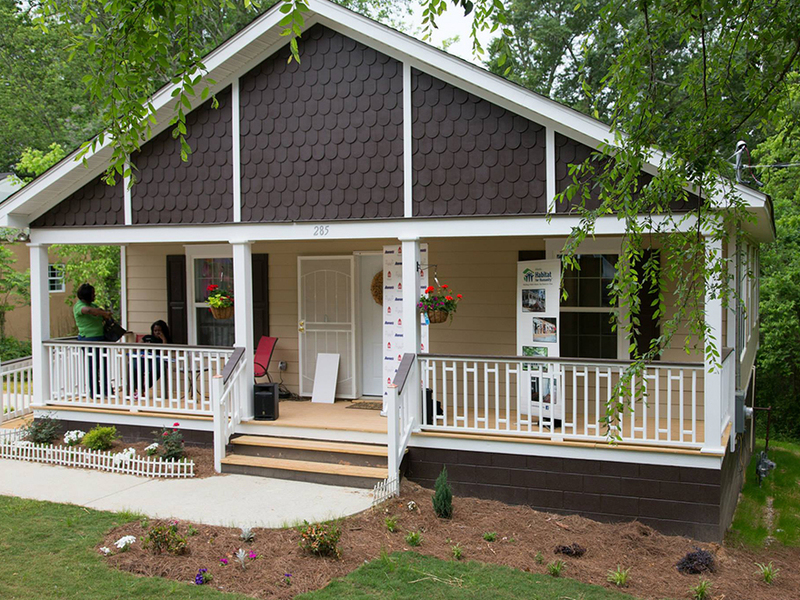 Many thanks to the incredible Peachtree Road volunteers who gave their funding and volunteer hours to build this home, and thanks to the Warrick Dunn Foundation for the very appreciated finishing touches!